Shandong and Bavaria have been sister province and state for 30 years and achieved good results in various fields. On the occasion of the 30th anniversary of their sister relations, minister-president of Bayern (Bavaria) Horst Seehofer visited the provincial capital Jinan. He met the provincial party secretary Liu Jiayi on 11 May 2017. Liu welcomed the visit of Seehofer and his delegation. He said Shandong is a leading province in economy, culture and resources in China. Now it is stepping up efforts to transfer the old energy into the new one. Furthermore, it promotes supply-side structural reform to realize economic transformation and development. Bavaria is an economic powerhouse of Germany, also a highland of research and technology. So there is great potential for cooperation between the territories. “I hope this anniversary will be a new start for both sides. We should deepen strategic cooperation, broaden investment scale and cooperative areas and strengthen project docking. This way we will achieve a win-win cooperation,” said Liu Jiayi. “Both our economies are vigorous,” said Seehofer. “What impressed me deeply is the love of the people here for their homeland.” Seehofer said he wishes the final implementation of the cooperative projects and more substantial cooperative fruits to benefit the two peoples. According to both sides, the meeting was productive. They achieved good progress in the cooperation, docking Germany’s “Industry 4.0” and China’s “Made in China 2025”. The Speaker of Bavarian State Parliament Barbara Stamm and Shandong leaders Yu Xiaoming and Wang Shujian attended the meeting. In 1985, then minister-president of Bavaria Franz Josef Strauss led a business delegation to Shandong. This marked a prelude to the friendly relationship between the two territories. Then vice governor Ma Shizhong and Strauss signed a joint declaration on developing sister province-state relations on 9 July 1987. They opened a new chapter of friendly exchange and cooperation between the two sides. 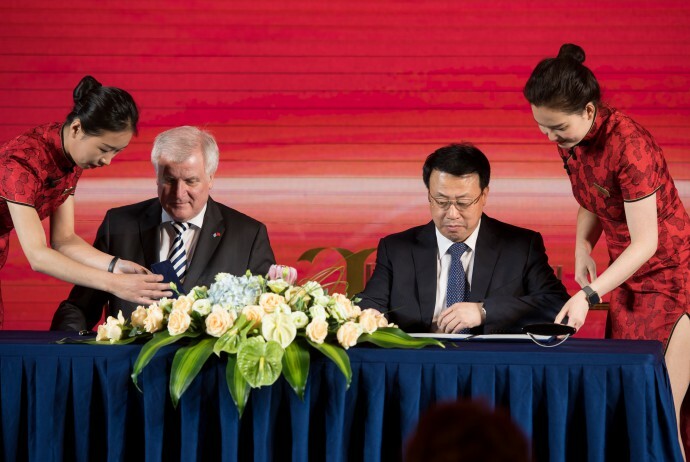 In 2010, Shandong party chief Jiang Yikang and minister-president Seehofer signed an agreement on establishing a strategic partnership in Munich. This lifted the relation between the two parties to a new level. By 2014, they developed a number of sister city and cooperative relations even between TV stations. They set up economic and trade representative offices in each other’s province and state. The Provincial People’s Congress signed an agreement with the State Parliament on a fixed exchange relation. Various branches of the government established relations and developed fruitful cooperation and exchanges in all fields. Previous provincial leaders, including Liang Buting, Zhao Zhihao, and Jiang Chunyun, have led delegations to visit Bavaria. Franz Josef Strauss and Edmund Stoiber have visited Shandong in 1985, 1995 and 2003 successively. The precious two speakers of the State Parliament John Paume and Alos Guleck have also paid a visit to their partner province in 2000 and 2008. Horst Seehofer visited in April 2010. Bavaria is one of the most powerful regions in economy that shares sister province-state relations with Shandong. Both sides valued the economic and trade cooperation at the beginning of their relationship. The Free State, largest and second populous in Germany, is source of one third of total German investment in Shandong. Bavaria has invested over 20 projects in the province, involving about one billion dollars as foreign capital. The Bavarian state government invested over 10 million € for the construction of these projects. It also dispatched long-term and short-term experts, over 100 people in total. The province and the free state achieved remarkable results in higher education. A number of universities established friendly interschool exchange relations. They conducted fruitful exchanges and activities. The Shandong-Bavaria Educational Cooperation Programme Commission plays an important role in the educational cooperation between both sides. 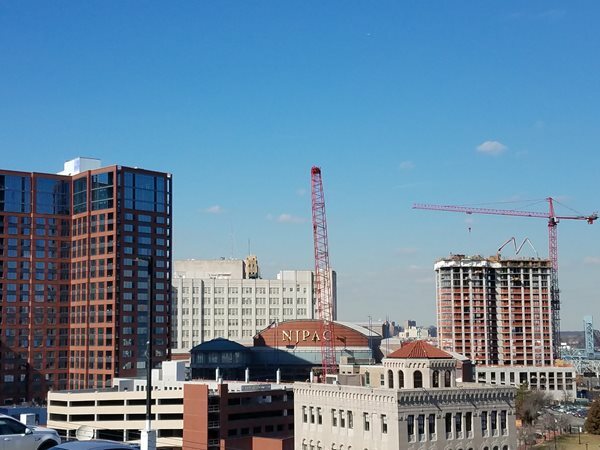 The partners established this commission in 1993. In 2007, they even founded the Sino-German Center for Cooperation of Universities for the further all-around cooperation of universities of Shandong and Bavaria. Both Shandong and Bayern (Bavaria) belong to the G8x8, the most productive places on earth. Shandong ranks third among Chinese provinces, taking the 2×3 spot on the chessboard, and contributes 8.7 percent to the national GDP. Bayern ranks second among the German laender, is located on field 4×2, and produced 18.1 percent of the German GDP.